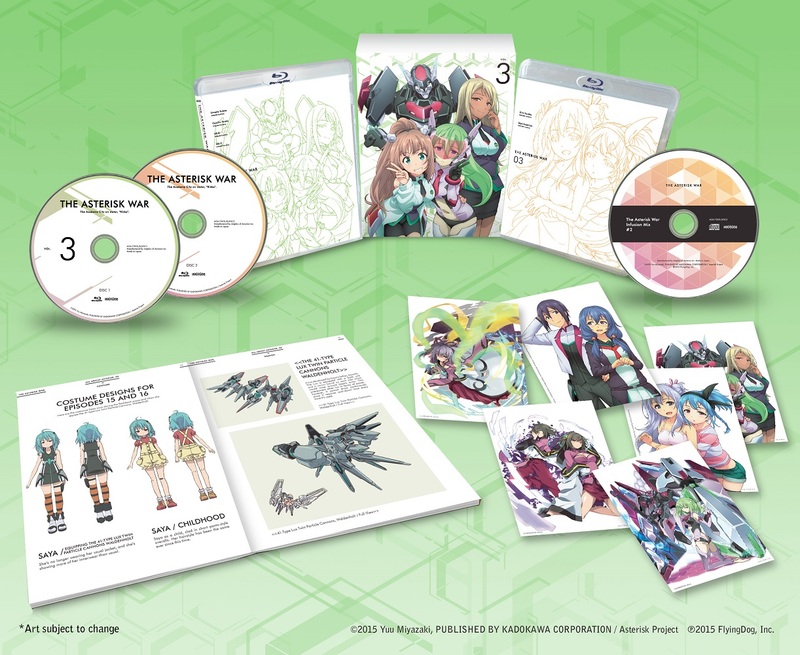 The Asterisk War Volume 3 Limited Edition contains episodes 13-18 plus Soundtrack Remix CD "The Asterisk War Infusion Mix #2" By Composer Rasmus Faber, Deluxe Booklet, Illustration Postcards, Clear Cases with 2-sided Wraps, Package illustrated by Tetsuya Kawakami (Character Designer). Based on the hit light novel by Yuu Miyazaki and directed by Manabu Ono (The irregular at magic high school), the school-battle spectacle is entering a new chapter! After successfully destroying the Gravi-Sheath, Ayato and Julis free the Urzaiz sisters from their shackles. However, Ayato's side effect of forcefully releasing the seal and its time limit are now known to the other teams. As the Phoenix Festa finals continue, Julis must come up with a strategy to cover for Ayato's inability to fight at full strength due to the seal's side effect. Will Ayato and Julis be able to survive in the Festa? Special Features: Bonus Previews, Web Previews, Textless Opening, Textless Ending. *Special Features include English subtitles. Ninety dollars for six episodes. Three guesses who this is from. Normally I'm not big on reviews but in this case I'm going to have to in order to balance out the fake review. As you know, I don't have this set because it's on pre-order but I do plan on buying it as I've already got the first set with the second set on pre-order. 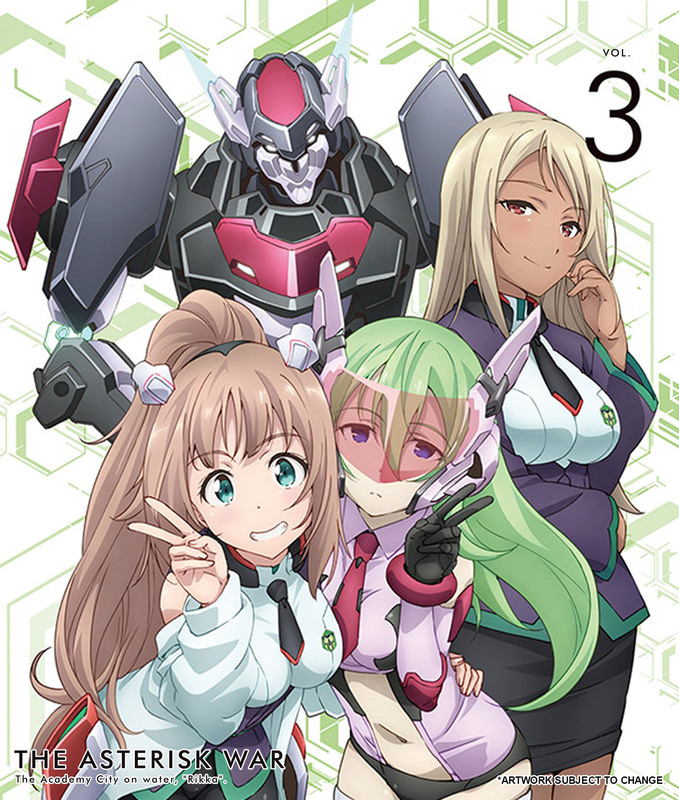 Asterisk War is a very good series that's lighthearted and fun to watch mixed with some very nice action scenes. Yes, it's by Aniplex so it's expensive but worth the price to me. If all you care about is price then go with Funimation or Sentai as they're cheaper. However, if you care about quality then no one beats Aniplex as they have the best picture and sound. So, if you like 9 - 13 episodes on a single dual layer blu ray disc then Aniplex isn't for you. If you're like me and prefer quality over quantity then Aniplex is for you. Aniplex only puts 3 - 4 episodes on a dual layer blu ray so you don't get the compressed picture or sound. 15$ per episode will never not be a rip off no matter the show. To be honest, this is a good series great animation and plot It deserves 5 stars. Nevertheless 90 $US for 6 episodes is outrageous and ridiculous. Aniplex USA must understand that overpriced products end up damaging a company. They think they are the ONLY anime company in the US. Sentai Filmworks and FUNimation's limited edition/collector's editions are waaaaaay better in quality and in contents and they come with the complete series. However, if you have enough money to afford it, go for it. At the end of day no one has the right to judge anyone! The reason I see this as good value is because some of the music in this anime is quite good (IMO). It's pretty hard sometimes to find the soundtracks and honestly usually like $40 after shipping from japan. So that alone covers for the extra cost. I really don't care for the other stuff the LE version includes. I'm a bit of an audiophile and I enjoy content of higher quality so hence why I think this is a good buy.